The photo shows a SD-5 sliding derail in a “far rail” setup using a RA1566-2B connecting rod and a LSE-2 ergonomic operating stand. Operating stands and connecting rods are sold separately. Flexibility: Nolan’s sliding derails come in two sizes, which cover rail sizes 80 lb to 141 lb. 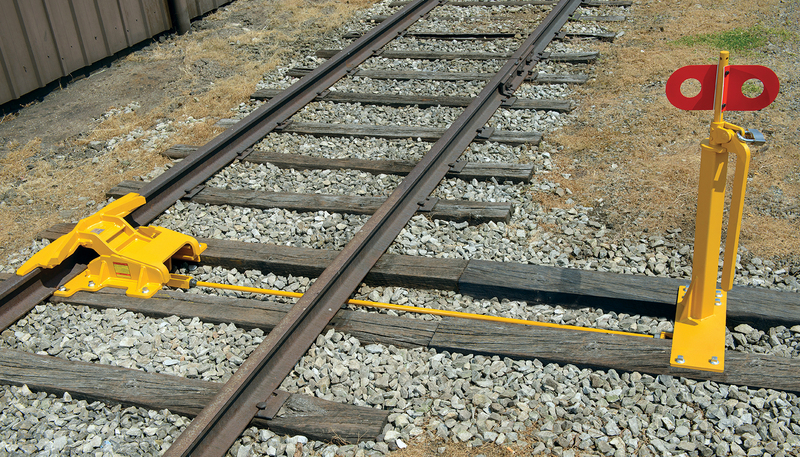 Security: Nolan’s sliding derails can be padlocked through the operating stands to ensure visibility and safety, and to prevent unauthorized removal.